I have never elsewhere had such an opportunity to observe how much more beautiful reflection is than what we call reality. The sky, and the clustering foliage on either hand, and the effect of sunlight as it found its way through the shade, giving lightsome hues in contrast with the quiet depth of the prevailing tints, — all these seemed unsurpassably beautiful when beheld in upper air. But on gazing downward, there they were, the same even to the minutest particular, yet arrayed in ideal beauty, which satisfied the spirit incomparably more than the actual scene. I am half convinced that the reflection is indeed the reality, the real thing which Nature imperfectly images to our grosser sense. At any rate, the disembodied shadow is nearest to the soul. The parallels between Bert Haanstra’s film Mirror of Holland, for which he won a Golden Palm at the 1951 Cannes film festival, and Nathaniel Hawthorne’s reflections (pun intended) are remarkable but certainly coincidental. Haanstra was during his lifetime one of the Netherlands most popular filmmakers. More information on him can be found at BERT HAANSTRA.NL. 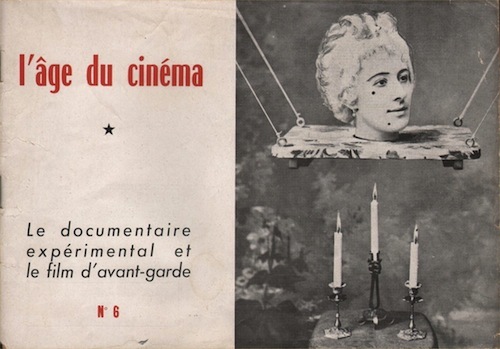 Ado Kyrou wrote about Mirror of Holland in his article A Dutch Avant-Garde Filmmaker – Bert Haanstra, which appeared in l’âge du cinéma Nº 6. Many people still believe that the world is unchangeable, that we perceive and only should perceive its bark, commonly detailed by newspapers and so-called realistic cinema. Bert Haanstra knows that the “real life”, that was so dear to Rimbaud, is made of sensitive mirrors behind the intrusions, where the encounter of unknown sights will make us delve deeper into the knowledge of ourselves. Considering this, it’s easier to understand why Kyrou praised Haanstra for making “a ‘realistic’ film without special effects and superimpositions” while at the same time designating him as an Avant-Garde filmmaker. Kyrou also welcomed Haanstra’s next short film Panta Rhei. For one thing, because of the Heraclitean implications of its title, but also for being to his knowledge the first poetic illustration of dialectics.